I have LifeSource and helped my parents get one! 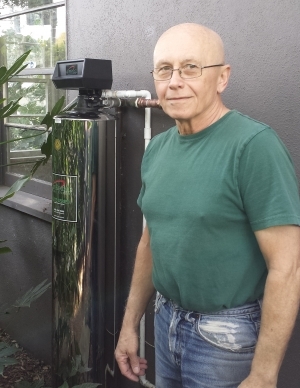 I helped choose a LifeSource system for my parents home so that they could have clean water in their home without the maintenance of a salt system. The water is very good, we feel the difference. We wanted healthy water for all uses in our home. The water is very good, we feel the difference when we come out of the shower. Our baby's skin is less dry and we don't need lotion as before. We have noticed less water spots on plates after washing. Very good water. We had been looking for a system for awhile. 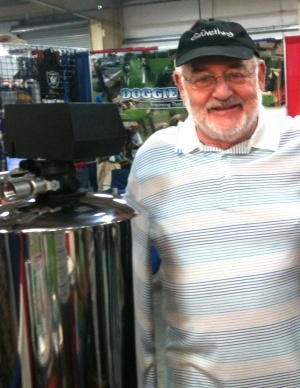 Then we saw Lifesource at the Paso Robles home show. Fred there explained how it all works and we bought it right there. We're happy we did- this system works great. We're very very happy with it. I encourage everyone else to consider it. Go for the ecology! We wanted good water, now we have it. I am over 80 years old and thought it was time to get rid of the salt softener.... better for my health. I researched a lot of other systems and found nothing that compares to LifeSource. I know enough about the mechanics of filtration and chemistry of water to tell good from not. There is no competition, even with the much more expensive systems. 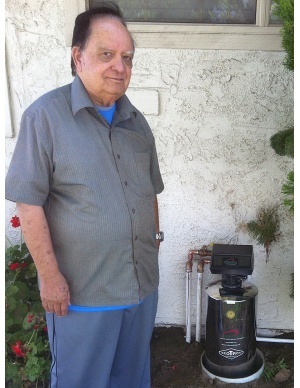 I had a Lifesource system he already in my house but when I bought it. 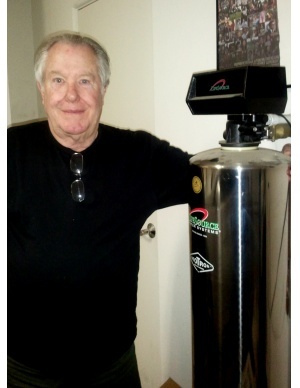 I wasn't sure what it was, a water softener or a filtration system. I called your office and told Stacia Armstrong about my concerns and she volunteered to come out and see it and tell me what I should be doing with it and how the product worked. Needless to say, I love my water now, It's much better than the water at my old house, and I just wanted to let you know that you've some extremely good employees, very conscientious of the company's image as well their own. I was very impressed. 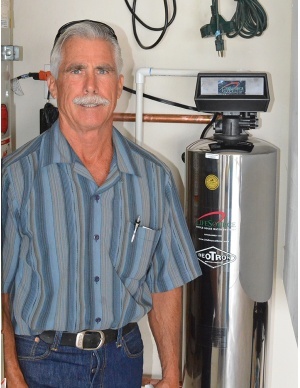 We just had the life source water system installed. I can't tell you how much we love the taste of the water. It is absolutely delicious and after only one week on the system I don't know how we ever did it without it. I highly recommend it for the convenience of not having to worry about changing filters etc. ever again. 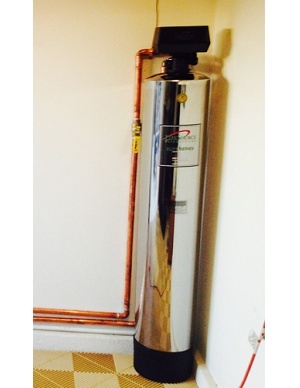 The whole experience has been a very positive one, the installation went smoothly and was done very professional. 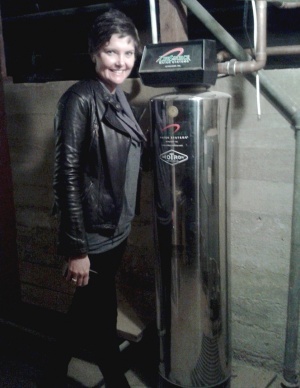 When my husband purchased our lifesource system I was not a big fan. Now that we have hade it over a year I can say ---I am a BIG fan of our system. Once I filled some lifesorce water in a store brand bottled water bottle and served to my husband. He got mad at me for purchasing store bought water, until I told him it was an old bottle I used to put the lifesource in, boy was he shocked. He apologized and said that the water was so good that he swore it was one of those expensive spring water brands. Lifesource replaces all the bottled water needs and more....thank you lifesource for such a wondeful product. 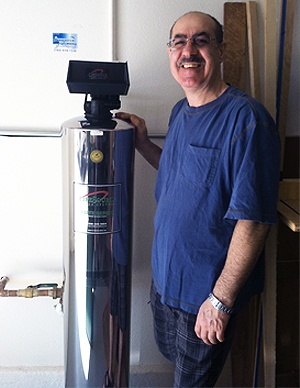 We installed the LifeSource System and now have cleaner water. And and no more chlorine! We love it! 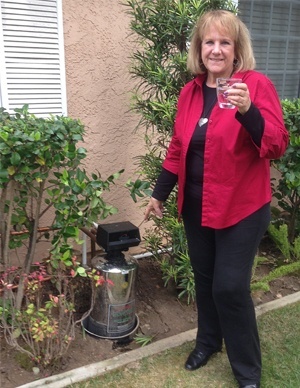 We bought the lifesource system because Santa Barbara water is the worst. To me it tastes far worse than Mexico & Bombay combined. 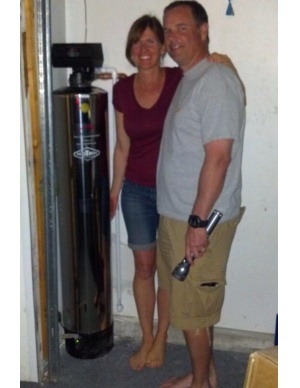 We were doing a complete renovation on our home and couldn't wait to get Lifesource. Now our water is great! 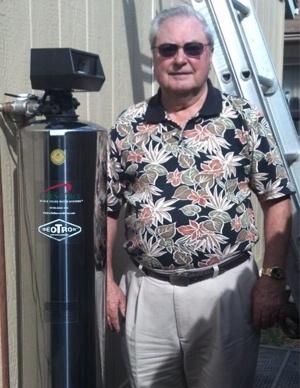 I bought my first life source system in 2005 at the Pasadena factory from the owner of the company, a very nice gentleman. To me it was expensive at the time, but I was glad I bought it anyway. I'm really impressed with their system. The water is very good. So, when it wore out after nine years I went right back to the factory and bought my second system. I think this new system may even outlive me. 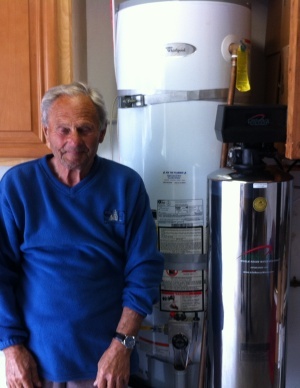 Everything went smoothly with the installation process the plumbers were professional and timely. The water is pretty good too. 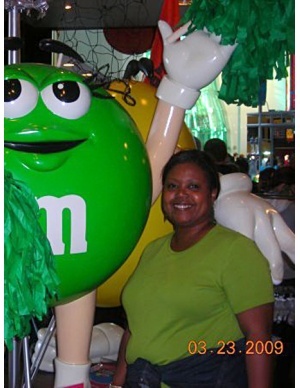 I need to give you guys a good feed back particularly ROXANNE BELL, great customer service,she makes your product "the best" by her awesome personality, very helpful, I've been your customer for almost ten years now, and even convinced my friends and relatives to buy your product. they are all happy and satisfied with the product and most especially the customer service. We are enjoying the great water! 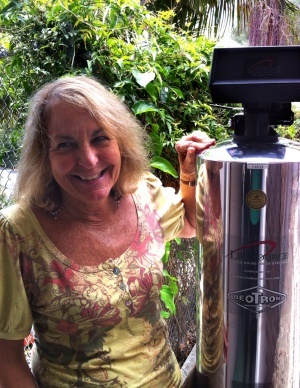 Right after I bought my LifeSource Water System, my chiropractor noticed how soft and clean my hair and skin was! It was remarkable that I noticed a change immediately. The water tastes great and so sparkling clear! I am already saving money by not buying bottled water anymore. Thank you Roger (Rignack) for being so informative and helpful and thank you LifeSource! 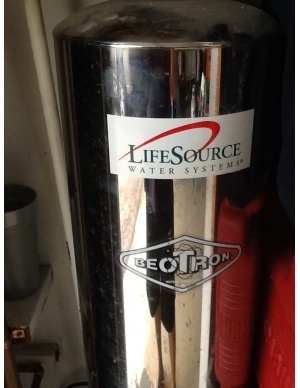 I got a LifeSource system because I was tired of having to deal with salt on a regular basis. 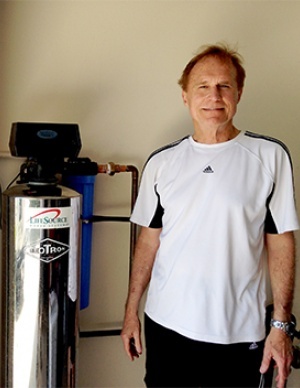 A work colleague, Danny Moder, who is married to Julia Roberts recommended the LifeSource System to us. 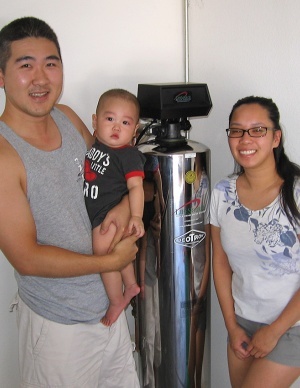 Johnny and I are so happy with our decision to buy the Life Source water filter. We are wondering why we waited so long to invest in this superior technology that will enhance our health in innumerable ways. John is already figuring our how he can take water from home to work and even to hotels with him when he has to stay away. I can't believe that I can turn on any faucet in the house and drink the water...that blows my mind every time. My skin is softer, my hair feels healthier and I feel so much better about the water I give my dogs to drink. Thanks for making it all come together so easily and quickly. We've been very happy with our system for 12 years. A friend got one in Vegas at a show and could not recommend it enough. We love that we were able to move on from our high-maintenance salt system to something much less finicky and more pleasant to drink from. 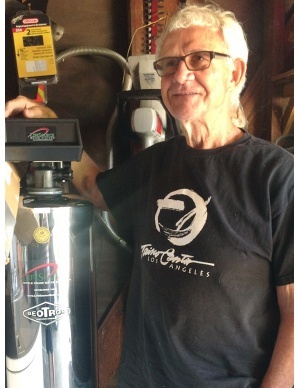 You can't ditch your salt softener soon enough for a Lifesource water filter. Bought lifesource because we had a horrible hard water problem also smelled a very strong chlorine smell. After lifesource was in stalled the chlorine is gone and the hardness problem is virtually gone. Thanks so much lifesource. Our salesman Brian McConnell was extremely friendly and knowledgeable he really took the time to explain how the system works and any questions we had. The installer was also very professional and friendly. The only con to the whole transaction was I didn\'t like the company policy that if you wanted to pay by check they required full payment up front before the unit was installed, I felt that it should have been 50% up front and after it was installed the other 50%. But other than that it was a great experience. 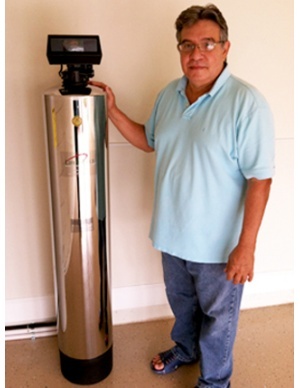 I brought a LifeSource unit for clean drinking water in my home. My wife and I had enough of going to the store and buying bottle water! We love our LifeSource water! It is nice knowing that the water is clean and will continue to be that way for many years. What a difference it has made in our lives. The service is great, highly recommended. 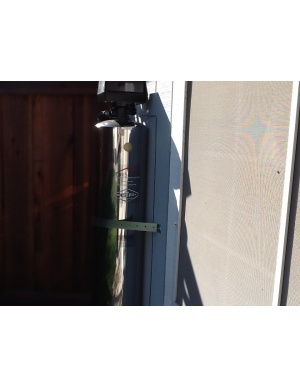 Originally we put in the system because water here tends to be hard and we thought it would be a good thing to do. My wife is very happy with it, and although I don't notice the change as much I enjoy that she loves it. One of the reasons I wanted the system is for washing my car, usually even if you shammy it right after a wash there's always spots to rub away but that's something I'm looking forward to not worrying about anymore. 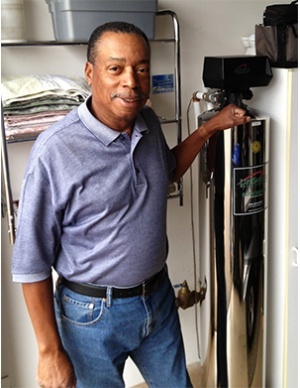 I’m a huge fan of LifeSource systems. I recently had my filter replaced which was about 14 years-old. These things last forever. 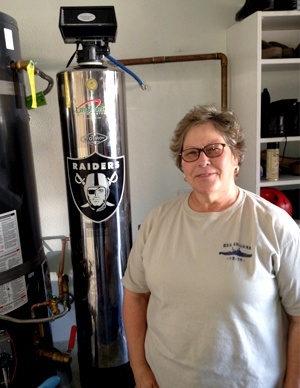 I refer people all the time because carbon filters really are the best but service is also really important and from my experiences the people at LifeSource have always been skillful, nice and very professional. I’m really happy with my new system. I noticed an immediate difference with the ScaleSolver as it started clearing out scale from the piping and fixtures in our home. 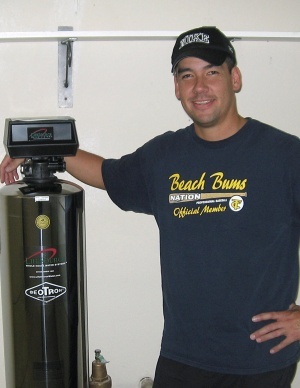 Our old Pelican 1000 system didn’t descale and we had that thing for about 5 years, it did provide us with filtered water but the maintenance was tedious. The thing had to be taken apart, dumped out and have stuff added into it. I was told that would be an annual process but I found myself cleaning it out often. 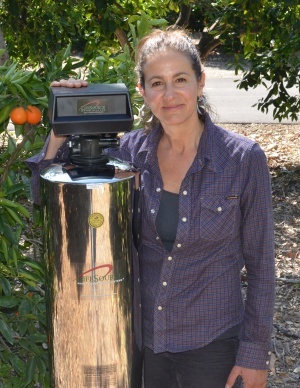 I was happy to find that the LifeSource system requires zero maintenance. I have two teenage daughters who are also big fans of our new system, they say it makes their hair less dry. Probably cause it clears out the chlorine from the water. I was also really excited to not see any more water spots on my car. I’ve had the LifeSource here for about a month and a half. And we immediately noticed a difference in our drinking water and in our shower. We love it! If you get it, you will love it too. Thank you! 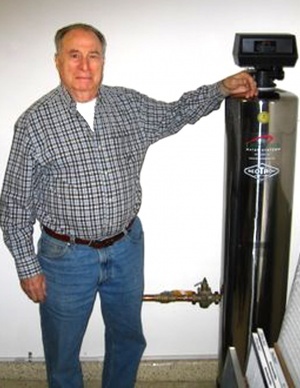 We had a LifeSource system installed because we wanted pure water throughout the house. 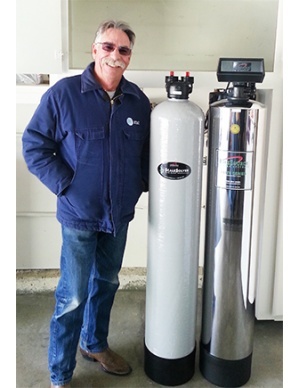 We bought LifeSource because we know how important it is to clean your water. I contracted T.B. 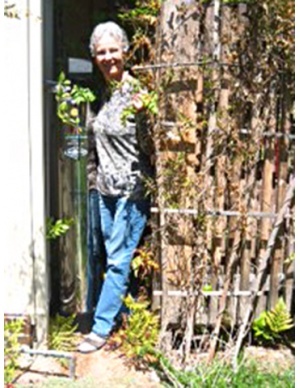 Many years ago from bad water and when I found out about LifeSource it was a case of I had to have it, my wife noticed an immediate difference in her hair and skin. 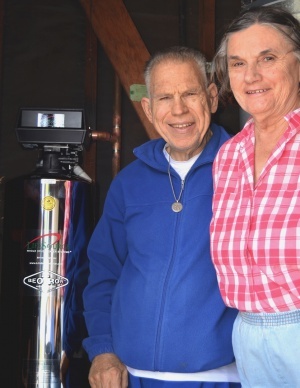 We have been married 60 years and even in to our older years we definitely would of done this many years ago had we known about LifeSource, it is never too late.